The use of puns in the titles of sports books, particularly biographies, is nothing new. 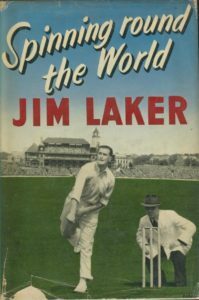 1951 gave us Plum Warner’s “Long Innings” and Jim Laker’s “Spinning Round The World”, and so a new tradition was established. Ever since these early attempts at punnery any sportsperson who was tempted to put pen to paper, however misguidedly, could tap into the rich resource thrown up by unusual sporting terms and phrases. To be honest, the vast majority need more than just a promise of dressing room banter and blow by blow accounts of their on-field triumphs to help sell their books. If Steve Davis had called his autobiography simply “My Story” or “I won Lots of Snooker Matches” instead of “Frame and Fortune” life could have been very different. Often the pun gives a clue to the sport involved – “A Game to Love” by – surprise, surprise – tennis’ Ann Jones, Bernhard Langer’s “While the Iron is Hot”, “Life in the Fast Lane” by Eddie Irvine and “Another Hurdle” by David Hemery. It can also relate to the role or position that the subject played in his/her chosen sport. Who can guess what the subjects of these books did for a living? “The Breaks Are Off”, “Running Commentary”, “I Declare”, “Right Back To The Beginning”, “In The Long Run” and “In Safe Keeping” – answers below. Cricket books probably give the best opportunities for this approach – “All Round View” (Imran Khan), “A False Stroke of Genius” (Wayne Larkins), “The Gloves Are Off” (Godfrey Evans), “Lasting the Pace” (Bob Willis), “Runs in the Family” (John Edrich) and “Over and Out” (Denis Lillee) being some good examples. 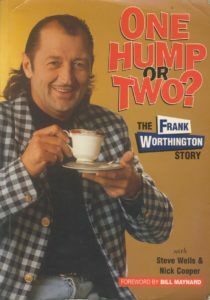 Some puns can be unforgivable – a serial offender was Graham Dilley with “Swings and Roundabouts” and “Hick and Dilley Circus”, but there are others – “No Bull” (Andy Bichel) and “Playing it Straight” (Ken Barrington) take a bow. One cricket title is so obvious that it has been used more than once – Geoff Boycott, Glenn Turner and Mike Atherton all used “Opening Up”. I wonder if Alastair Cook will be tempted to follow in a great tradition. 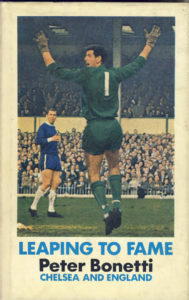 “Leaping To Fame” (Peter Bonetti), “By The Book” (Clive Thomas), “Back At The Top” (Bill Foulkes) and “Managing My Life” (Alex Ferguson). Of course, the lure is far stronger if the title hints at some far more interesting extra-curricular activity – “No Half Measures” (Graeme Souness), “Wasted?” (Paul Smith), “Rock Bottom” (Paul Merson), “Fast and Loose” (Martin Offiah), “Back From The Brink” (Paul McGrath) and my favourite, “One Hump or Two?” (Frank Worthington). It is surely no coincidence that two not so legendary “characters” of British sport, Steve Davis and Nick Faldo, have chosen puns – Faldo twice, with “Life Swings” and “The Rough With The Smooth”. Given his more colourful private life, these are probably well chosen. 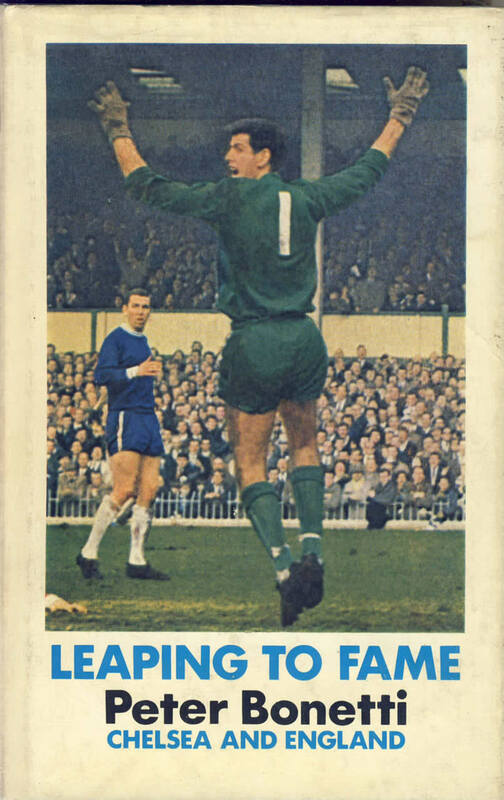 Another common approach is to incorporate your name into the pun, such as “Pat On The Back” (Pat Eddery), “Hunt For Goals” (Roger Hunt) and “Ball of Fire” (Alan Ball) – which was also used by “Fiery” Fred Trueman. Terry Downes came up with the inspired title “My Bleeding Business” for his 1964 autobiography but how is it possible that John Prescott was the first to come up with “Pulling No Punches”? Come on you ex-boxers, it is time to put your hat in the ring. My new autobiography, “Magnus Bowles ‘Em Out”, which includes full details of each of my six wickets this season as well as some revealing stories from the pub afterwards, will be in the shops soon.